There’s so much going on in my mind right now that I can’t sleep. 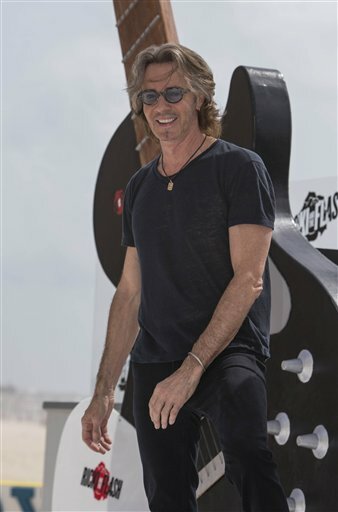 Images of shirtless Rick Springfield from his concert at the Arkansas State Fair this past week are mixed with images of him playing the devil in tonight’s “Supernatural” episode. The part of my brain that deals with everyday life – work, carpools, homework, parent-teacher conferences, housekeeping, grocery shopping, scheduling dentist appointments, bedtime routines, etc. – has short-circuited due to an overload issue so all I have left is the brain power to contemplate the awesomeness that is Rick Springfield. I wonder if there have been any studies done on the effects of poster-covered walls on brain development during one’s formative years. My actual bedroom wall, circa the early ’80s. The photo is so old that it has faded. It’s quite possible that having someone’s face greet you every morning when you wake up and stare at you as you fall asleep permanently alters your subconscious mind. Especially when it’s supplemented with listening to that person’s music over and over again during those formative years. That would actually explain a lot.